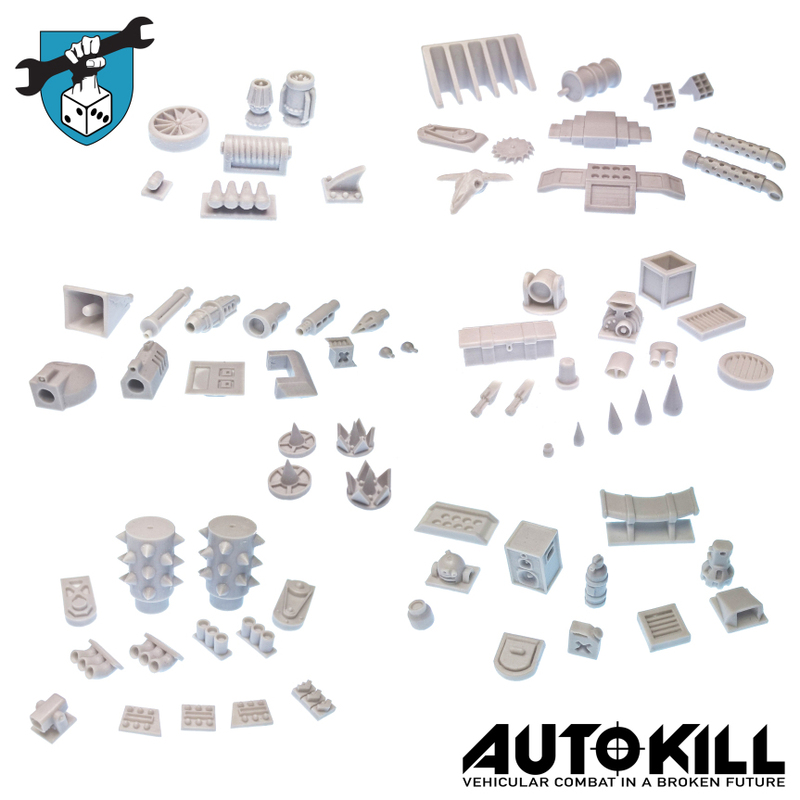 Dice Mechanic Games previewed some new vehicle parts and miniatures for their upcoming Autokill - Vehicular Combat Miniature Wargame. Dice Mechanic Games is a small tabletop gaming company based in Wales. 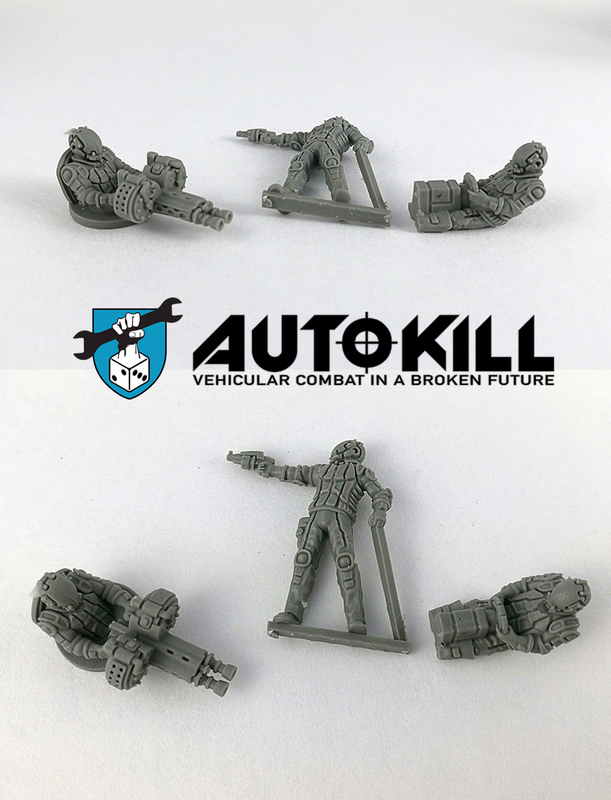 We produce miniatures, upgrade kits and gaming aids for AutoKill, a 20mm scale free roaming auto-duel game.So you’ve tooled up your rides with weaponry and mods, now you need a crew. AutoKill is a vehicular combat system using multiple dice and movement templates to create a sand-box style tabletop experience. Factions can be themed in any way you can imagine within the vast variety of settings. There are gangs, corporations, places and characters within the background for inspiration but the world is wide open to player creativity. The game is set in a future Earth engaged in multiple dystopian end game scenarios. Each continent and the countries within suffer in unimagined ways. Hyper-Capitalism is the main drive of humanity with the Earth’s population at 10 billion and vast swathes of certain countries rendered uninhabitable by industry and conflict. 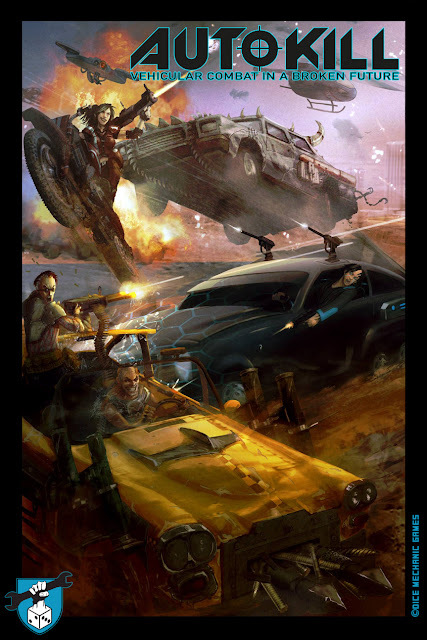 From AutoKill Arena aces to GigaCity racers, Unicorp security forces to hi-tech street gangs, DMG have got your back. Equipped with the latest in body armour and offensive loadouts these foot soldiers will make your dirty work their business.The first test resins for our upcoming crew are in, courtesy of Zealot Miniatures. We are very impressed with the crisp detail they managed to capture on these 20mm figures. A set of wheels is important in the harsh and not too distant future of AutoKill. But without some serious offensive and defensive modifications, you don’t stand a chance! Sculpted and produced in top quality resin by Zinge Industries, our first selection of 75 add-on components is available now from our online store, as well as from Zinge Industries themselves.